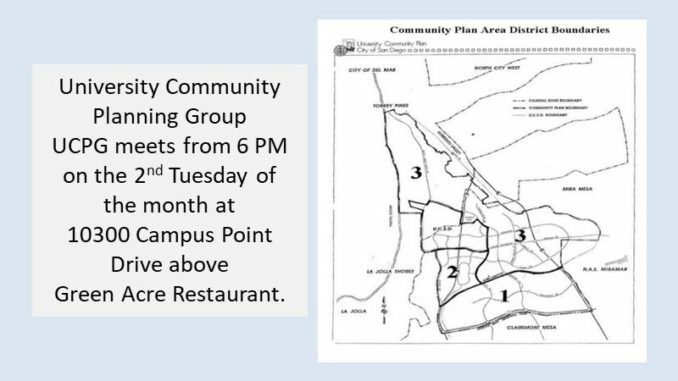 University Community Planning Group (UCPG) will meet on Tuesday, May 8 at 6 PM at Green Acre Campus Point, 10300 Campus Pointe Drive, 2nd Floor, San Diego, CA 92121. Agenda items include a presentation and Q&A session by Colonel Jason Woodworth, commanding officer, MCAS Miramar. Other agenda items include SANDAG / Mid-Coast Trolley construction and an action item on a request from Javier’s Restaurant for a Conditional Use Permit for Tequila to take away. Chris has resided in University City for the last 44 years and currently lives in La Jolla Colony. 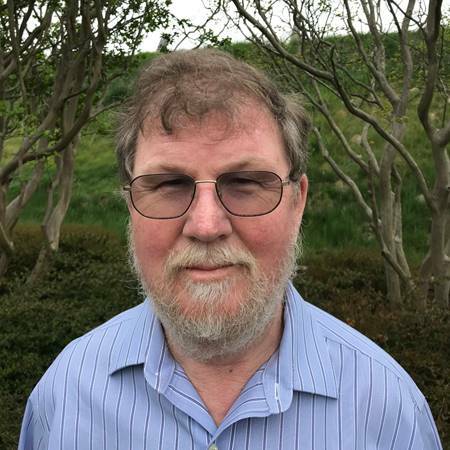 While studying Mathematics at UCSD (BA, 1974, MA, 1977), he was part of a team that developed transformative X-ray detector instrumentation for scientific research. In 1983, he became a founding partner in a business, Area Detector Systems Inc., which commercialized this technology. For the next 32 years, they developed and sold detector technology worldwide. Many of the research institutes (UCSD, Scripps, Salk, Burnham) and pharmaceutical companies along North Torrey Pines have been customers or users of their instrumentation. He retired at the end of 2015. He strongly supports preserving and expanding open spaces, from small parks to canyon land. He is a supporter of the Mid- Coast Trolley project and the bus/shuttle systems that support our local housing and businesses. He is especially keen to participate in the upcoming revision of the University City Neighborhood Plan.